Our introduction to partscasters continues as we look in detail at how to mate a neck and body, as well as how to manage and modify some slightly incompatible woodwork. In a perfect world, your neck and body would be a perfect and immediate fit. This is not that world, so there’s a good chance the neck is going to be either too wide or too narrow for the neck pocket. For a recent build, I used a pre-owned Peavey Predator 21-fret neck. It’s dead straight and the frets are in excellent condition, but it was not an exact fit for the body I’d chosen. 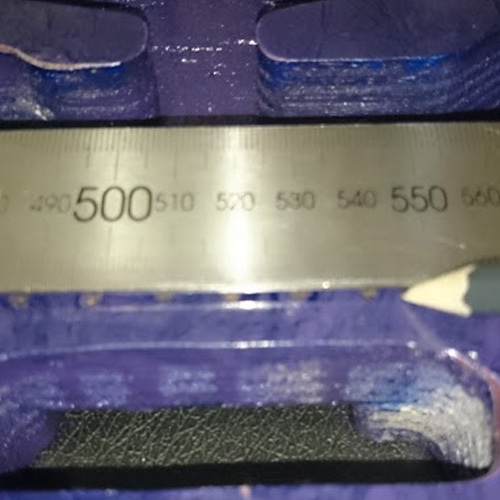 Being 1mm narrower than the neck pocket, misalignment was inevitable without attention. Two 0.5mm shims were my best option, and we’ll address that comparatively simple fix below. The depth of the neck heel should be a major consideration when selecting a neck. 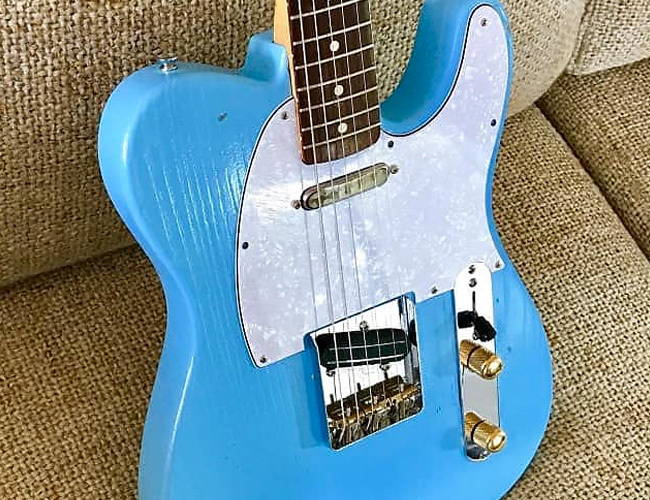 While minor adjustments can be accomplished while setting up the guitar’s action, for major depth and tilt issues I firmly recommend seeking professional help. The heel base is a hyper-critical element of a solid-playing guitar. We can, however, address the heel width. 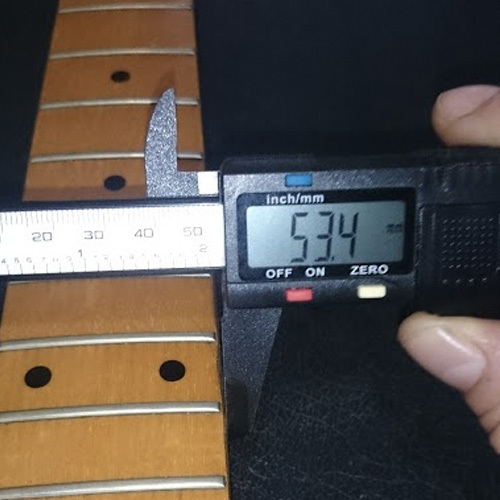 Reducing the heel width of a guitar neck requires specialist tools and a full-length trim on both sides of the neck. In short, that’s a luthier’s job. For basement and garage builders, though, modifying the neck pocket is your best option and it’s not that hard. 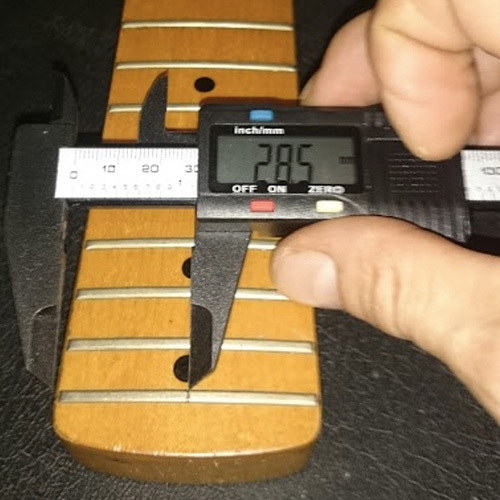 Here I’m going to walk you through measuring, marking and cutting to increase the width of the neck pocket on both sides, which first requires establishing and then maintaining the guitar’s centerline. 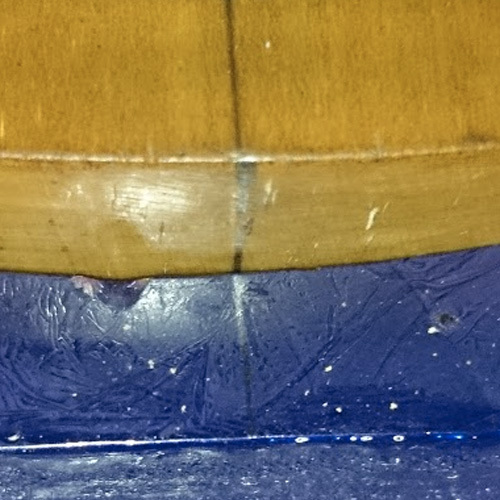 Marking a centerline is necessary to ensure that the nut, neck and bridge are in alignment. 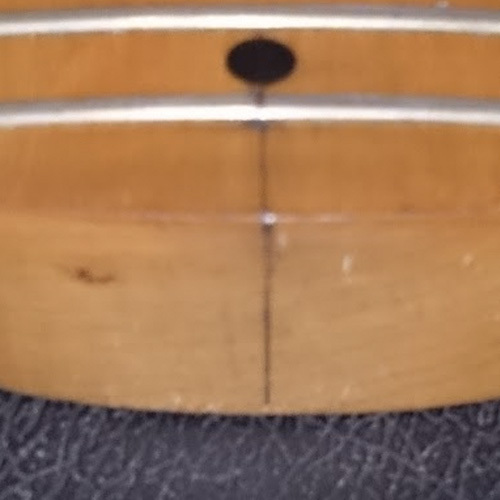 It’s an essential and constant reference point that we will use to prevent even slight deviations in the neck position that cause serious string misalignment and other problems. 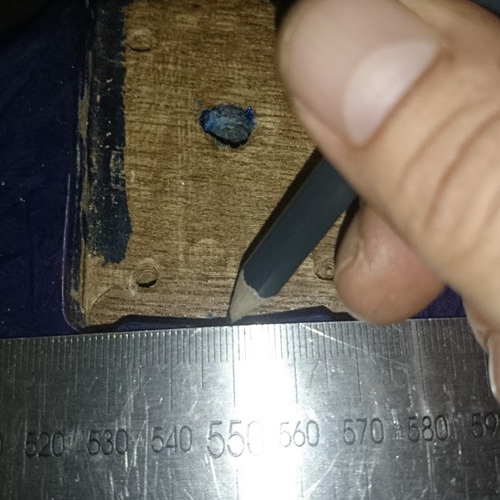 Measure the nut width and divide by two. Mark this point on the nut between 3rd and 4th string slot. Repeat at 12th and 21st fret, confirm the line between these points is straight. 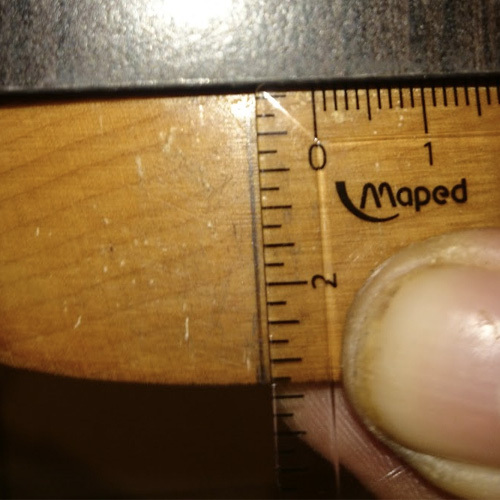 Extend this line to the base of the fretboard and mark the point with a pencil. Using a square, mark the line over the edge of the heel from top to bottom. Mark a line on the body across the two outer bridge mounting points. Center a square between 3rd and 4th bridge saddle positions, and mark the 90-degree point on the previous line. Run a precise line from here to the neck pocket, then mark a baseline below the neck pocket 90 degrees across the body, touching the center point of the slot, it is here that we base our measurements for widening the slot. When the neck is joined, the line on the heel of the neck should meet the line on the body. After you have confirmed and reconfirmed your centerline, it’s time to plot the taper of the neck pocket. Measure the width of the heel, and the width of the current slot and divide the difference by two, this is the amount of material to remove from both sides of the slot. Mark these width points on both sides of the centerline on the baseline. 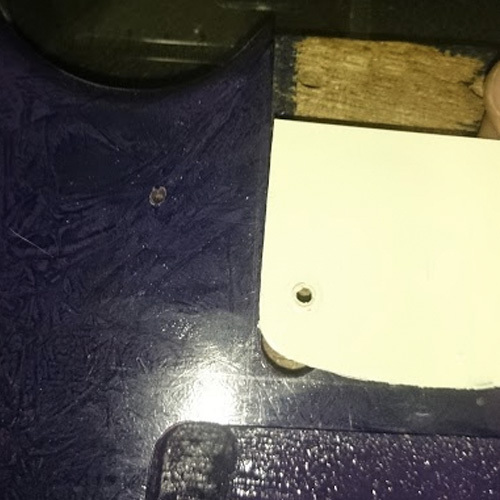 If your neck pocket is rounded (Strat style) where it meets the neck, make a template of the heel and be sure to mark the center line on the template. Match it to the body centerline and mark out the contour. 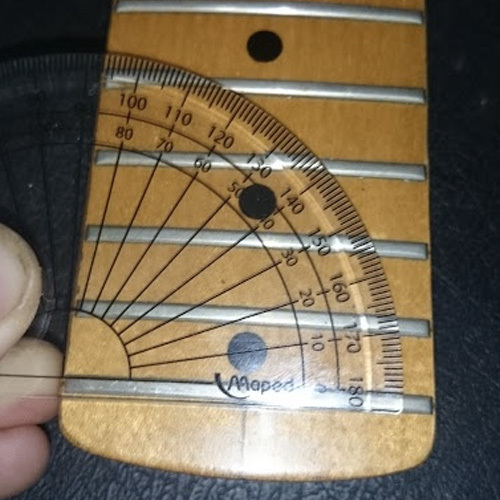 Use a protractor to gauge the angle of neck taper. Set it on the last fret noting the angle on each side of the neck; both should match. Plot the angle from the baseline width points and run a line up both sides of the slot to the top. 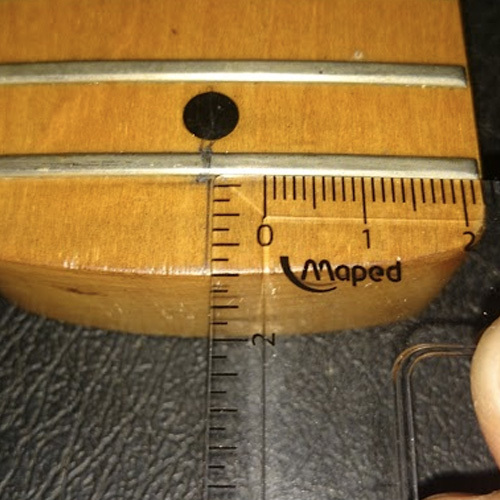 For a square-edged neck pocket (Tele style), mark the extended width along the baseline using the centerline as reference, check the taper angle as above and mark the routing lines. Now either carefully rout these lines out, or consult a professional – this must be precise. 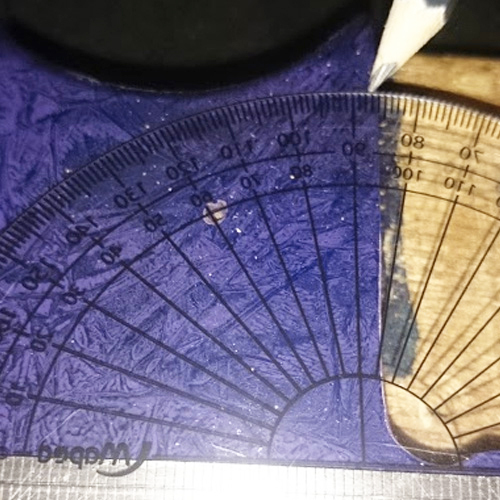 To fit a squared-off heel to a rounded contour body slot, use a scanner to print a template of your heel, and apply the above methods for trimming. Once the centerline is established, we can deal with a too-narrow neck using shims, aka spacers, for precision fitting. I trust no shim implicitly, and always refer to centerline for every measurement. You can use any non-compressible material (credit cards, playing cards, etc.) 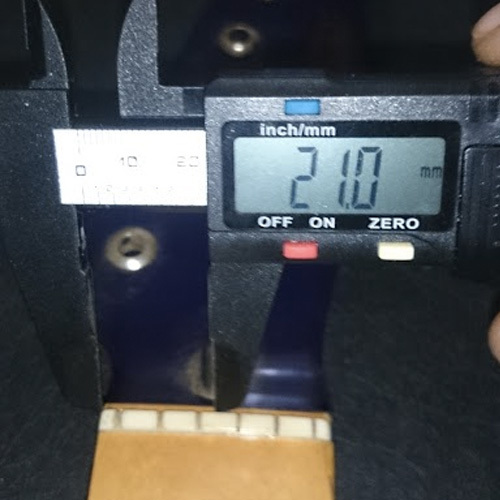 of consistent thickness for a shim; I’m using 0.5mm string-lock shims, trimming one to fit the lower side slot. 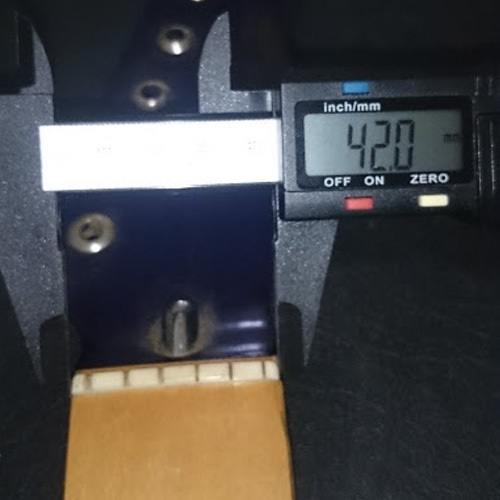 To find the shim thickness you need, measure the neck-heel width and neck-pocket width and divide the difference by two. Packing both sides of the slot will maintain the centerline; fixing the neck to one side will cause misalignment. 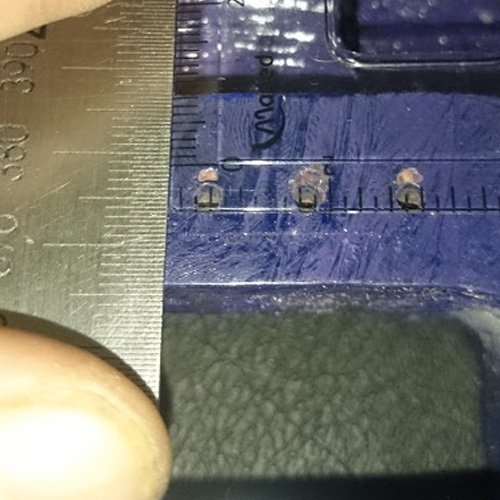 Fix shims with the smallest drop of Cyanoacrylate possible. 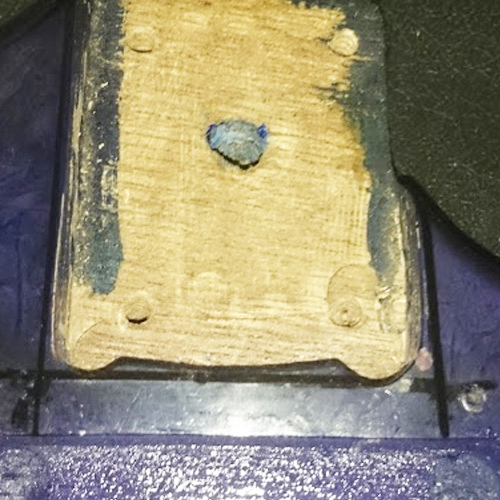 Even a thin film of glue can alter the slot width. During the assembly process and setup, we’ll reassess the neck tilt and address it as needed.